On 19 & 20 December presents the play “The KalOkantzaros saves Kalikantzarochorio” at the conference hall of the Municipality Kissamos. The theatre show will be in Greek. Plot: Once upon a Time in Kalikantzarochorio a small and kind hearted gnome decided to climb secretly on Earth long before Christmas Eve! He wanted to see how people are preparing for the holidays. Would return back a bit before the time the tree Vasto Earth would only chop to drop, because he is saying every time the goblins: “Leave alone to drop the trunk. On Earth will become the doom! “. But then he met Manolis! The Goblins are as people think they are. But when people do not believe anymore? The goblins risk. Who will save them? Two friends different, that everything is together: An urchin, Manolis, and a genial goblin, the KalOkantzaros. These two take action so that their mischief to convince everyone that there are goblins. 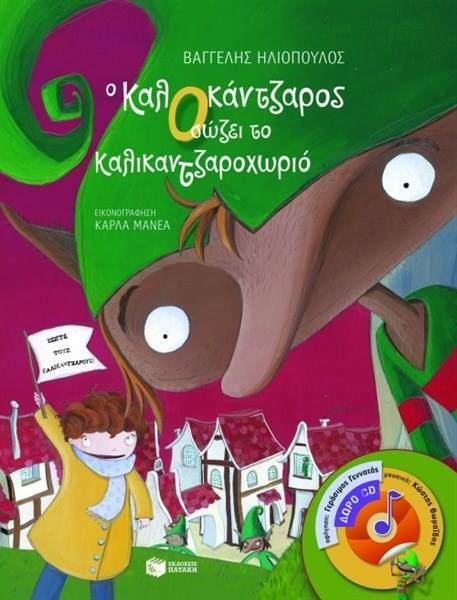 The actors of the show are the parents of children of the second kindergarten Kisamos under the artistic direction of Theoni Koutsounaki, which in this case adapted it for two Christmas performances on 19 and 20 December 2015, the book “The KalOkantzaros saves Kalikantzarochorio”.